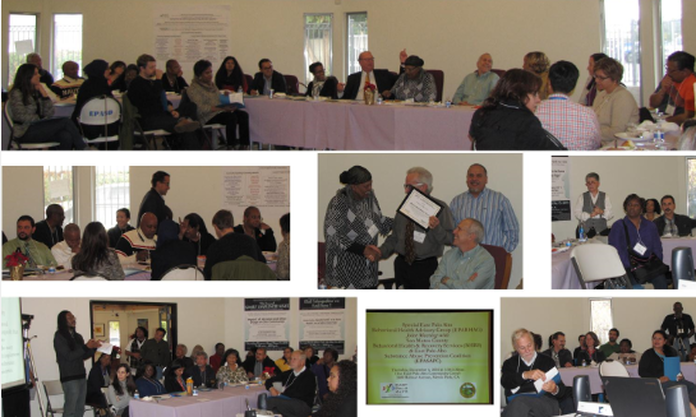 Each of these groups began addressing substance abuse issues in East Palo Alto separately and at different times. However, in a recent effort to strengthen and consolidate the collective impact of work conducted, all of the groups decided to merge. On July 26-27, 2012, the Responsible Beverage Service Training of Trainers was provided to 25 East Palo Alto Substance Abuse Prevention Coalition (EPASAPC) members and community stakeholders. Participants were trained in best business practices and proper identification of I.D.’s in order to be able to offer their services to alcohol selling merchants. Over the 2012 summer, YouthEastPaloAlto (YouthEPA) participants took to the streets to disseminate information regarding the consequences of alcohol and marijuana use as well as 211 information. A new resource of San Mateo County, 211 allows people to look for help as well as see where emergency services are available county-wide. YouthEPA reached over 570 East Palo Alto community members. Currently YouthEPA and EPASAPC are working together to gather data in regards to youth needs and parent perceptions about substance use and abuse. If you have a group of youth or parents that is willing to take the survey, please contact Vei Finau at vfinau@1epa.org after August 14, 2012.